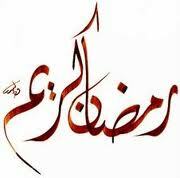 I would like to extend a belated eid mubarak to you. I pray that our efforts during ramadan were accepted. A sign that one’s efforts during Ramadan have been accepted is that those efforts continue outside of Ramadan.